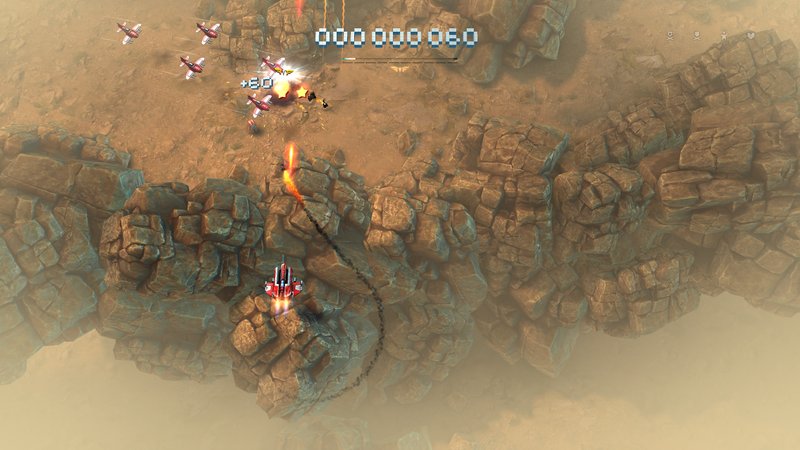 Idreams finally released a new game in the Sky Force series last week, it’s been a long wait for many as their last game (Sky Force Anniversary) from 2016 was nothing short of stunning and as we here at Amiga Guru said in the review – very close to perfecting the vertical shoot ’em up genre. 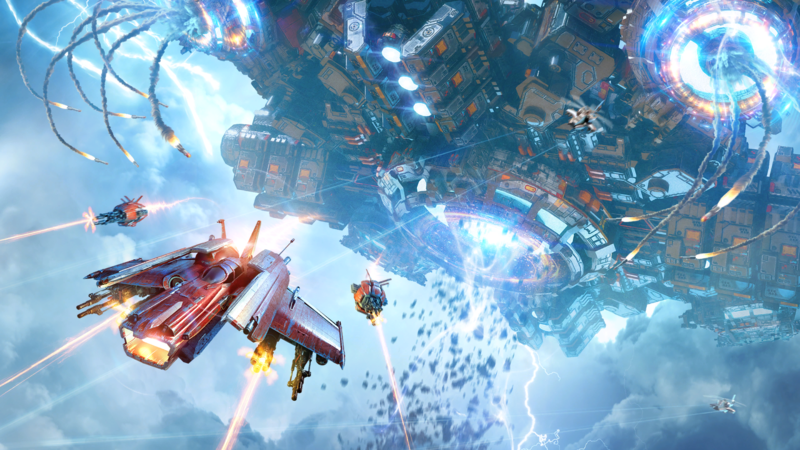 So, how does one improve on such a brilliant game like Sky Force Anniversary then? , well this was the first thing i thought about too as to me it was nothing short of a home run and pretty much the best game in this genre for a long, long time. My first impression was that this time around Idreams seems to have taken everything that was good from the series and added more of the same on top of it, yes it feels like the same game but once you compare them closer you realize that there is much more to it than just copy & paste. 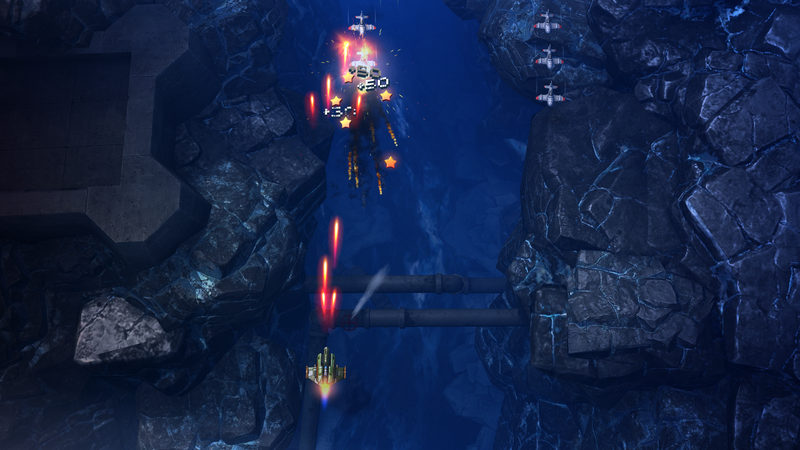 The graphics and lighting are where the game has changed the most, it looks spectacular, to say the least, and the levels, enemies, bosses and so on have also been updated and changed to reach new heights of quality. 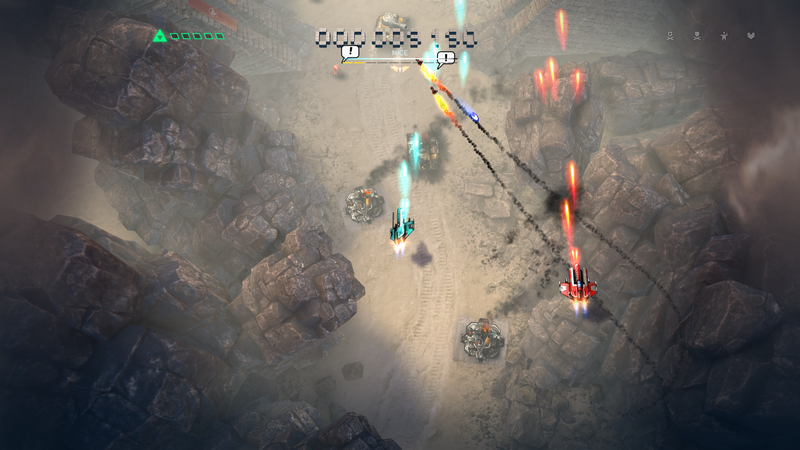 Sky Force Anniversary looks fantastic indeed, but Reloaded looks even better. Everything feels (and is) extremely polished, silky smooth and detailed. 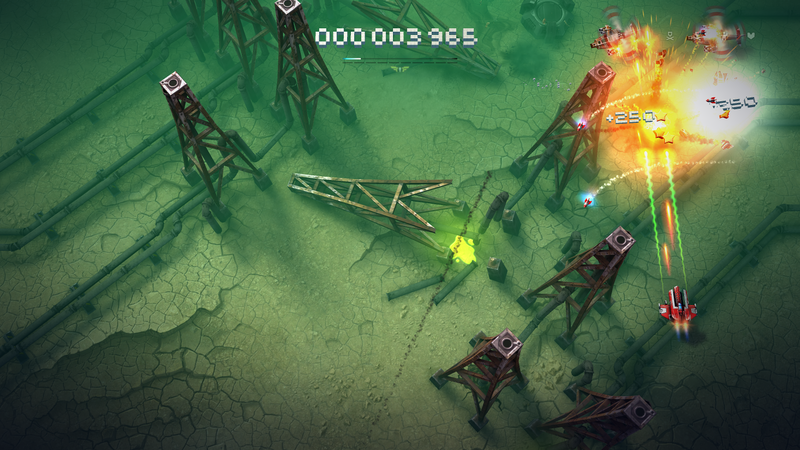 The slow-paced action in the very beginning is still present in this game and while it may be a bit boring to some, this won’t last long, just upgrade as soon as you can and then let the game shine!. The boss fights can be pretty insane at times but this game ain’t one of those endless bullet hell types of games, so fear not. 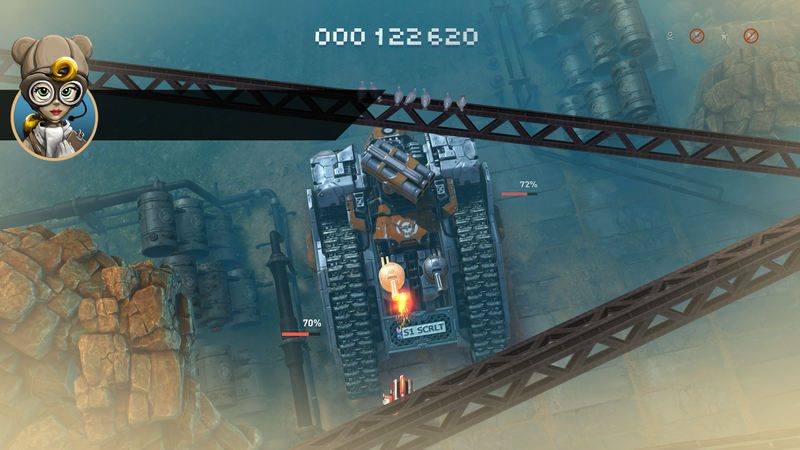 If you felt the first one was manageable then so that is how you will feel about this one too, at least in the normal and hard levels, the Insane level difficulty is a bit more though. Boss fights alter between difficulty level too which is pretty cool, be prepared for some proper fights and i recommend that you upgrade your Laser and Shield stuff before trying to beat later levels. The level design keeps getting better and better throughout the game and yes there are even more levels this time around. 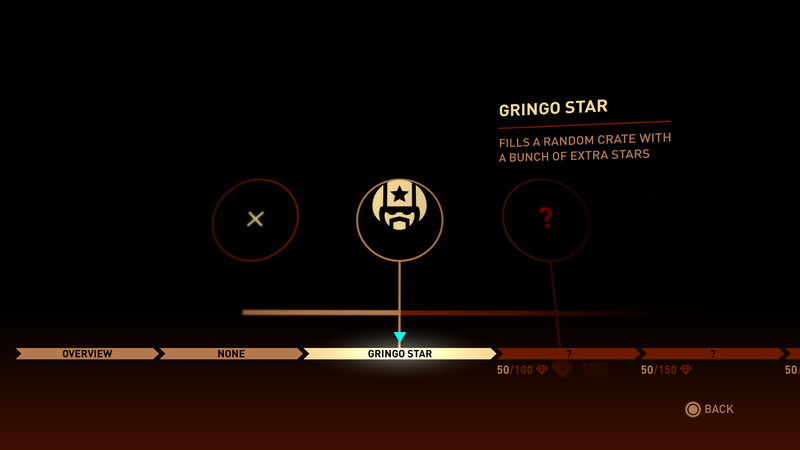 The upgrade system is still based on “stars” which is one of two resource/currency in the game. 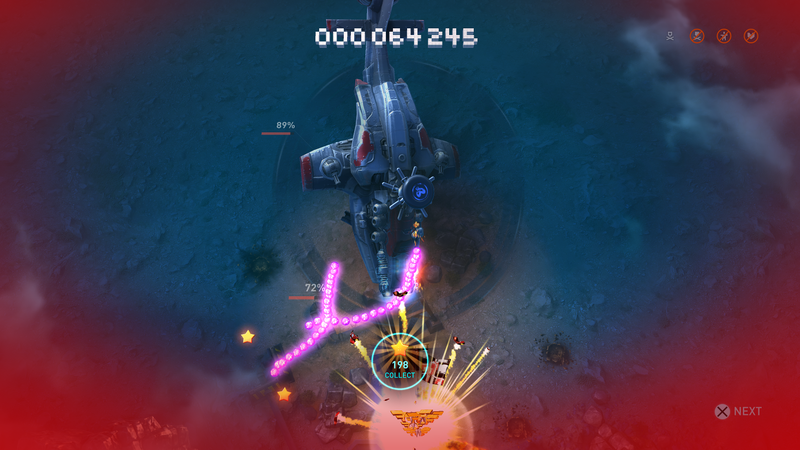 You pick up stars from enemies that you have killed and yes you get to keep most of it even if you die which is good (you still only got one life per game too). Farming stars is required to level up quick enough to stand a chance later on. 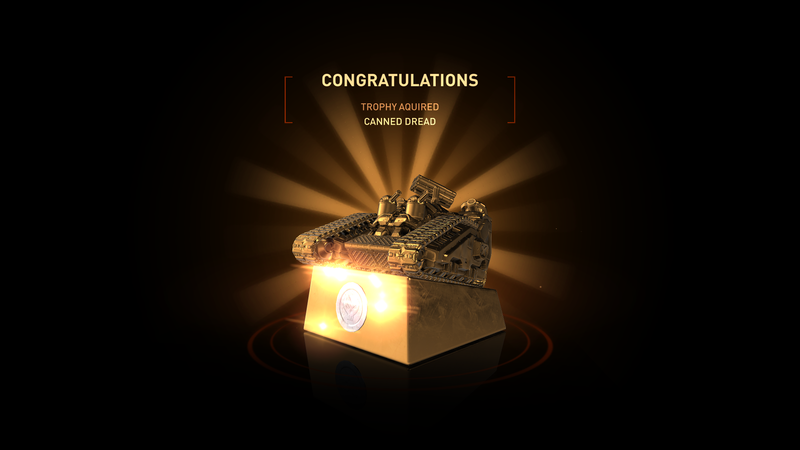 One of the very few bad things about Anniversary was that the game had no platinum trophy even though it had more than enough ways to unlock 50+ trophies without even giving one away easy. 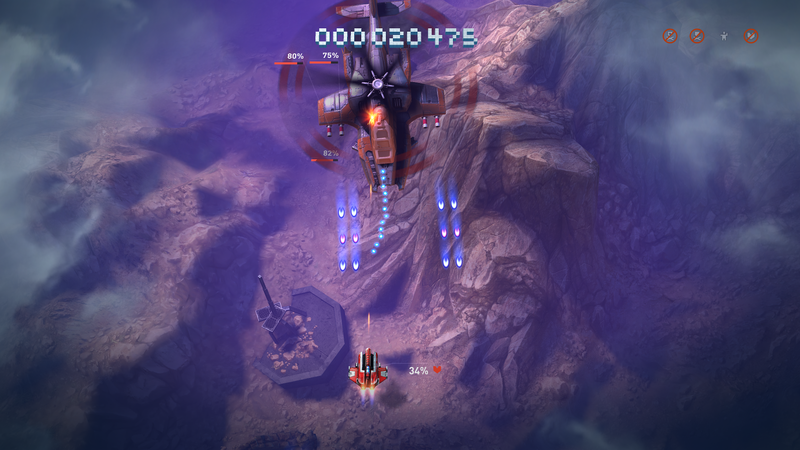 Sky Force Reloaded packs a healthy and challenging trophy list this time around (too) but most importantly is that there’s finally a Platinum trophy in the game as well as a bunch of in-game trophies too that ain’t connected to the usual PSN stuff. 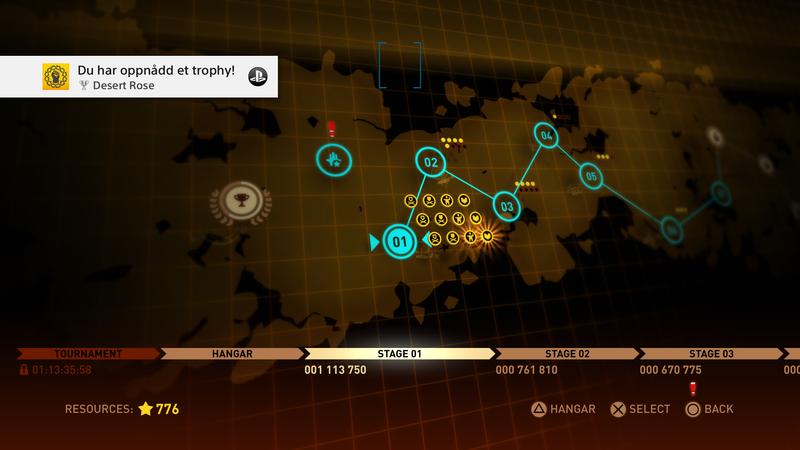 Be prepared for one hell of a grind to platinum this one as you will have to complete every level (and all missions) on the INSANE difficulty to unlock most of the trophies. There’s a thing in the game called “technician” where you unlock certain skills for diamonds/prestige points, by the looks of things there is some cool stuff to unlock here (so far i have unlocked only 3 of them). You can have one bonus like this activated at a time, i have yet to unlock all so this might change eventually. There is even more to the ship upgrades this time around too, you build ships with upgrades you find in the levels, randomly placed just like with the cards from the other game(s) in the series, it basically comes down to one thing: You either find a ship upgrade (which turns into a ship once you have enough parts) or a Card which gives you some sort of boost, either timed based (15 minutes) or one that never goes away. The map is more or less the same as before although there are more of them this time around, the progression system is still the same so you will have to replay levels to get a good enough ranking to see later levels too. The idea behind this is brilliant and it works well without breaking the game in any way as it actually helps you to level up faster too which is required to stand a chance later on in the game. One thing that both games so far have done with me is that this level system has actually pushed me into playing the game more than i normally would as it turns into a “just one more try!” type of game and yes you switch on the game to play a single game but end up spending hours upon hours as it’s so bloody addictive. The two player mode is still present and you share upgrades and stars too, so it’s pure co-op and never competitive from a game design perspective, that said it’s still brilliant to play and most players will automatically try to be better than the other player anyway, right?. There is still no online co-op in the game, it’s couch co-op only although PSN Playshare function does work and is fully playable with remote players. There is only one downside with Reloaded and that’s the removal of Crossplay. There ain’t a VITA nor a PS3 version of the game available which means that you can’t play the game on the go anymore, the reason for why it’s on PS4 only i do not know at this point as it might be a technical or a (no) market reason. This is the release trailer for the game, brilliant design and a really good tease of how the game plays, well worth your time. The music in the trailer is also representative of the “chip style” music in the game too, that said some of the first songs in game is not as good as the later stuff so be sure to check it out as the soundtrack will spark many memories from the golden (Amiga/C=64) age for sure. 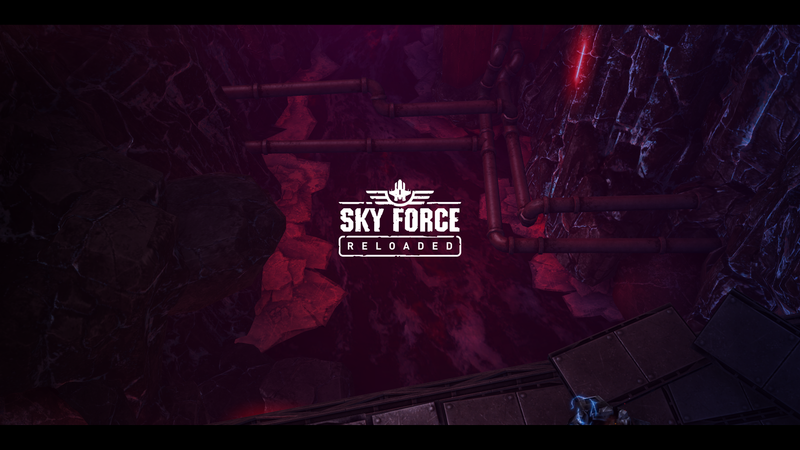 Sky Force Reloaded is more of the same really, but in a new & even better-looking package, everything ooze quality and it outperforms its prequels in just about every possible way imaginable. 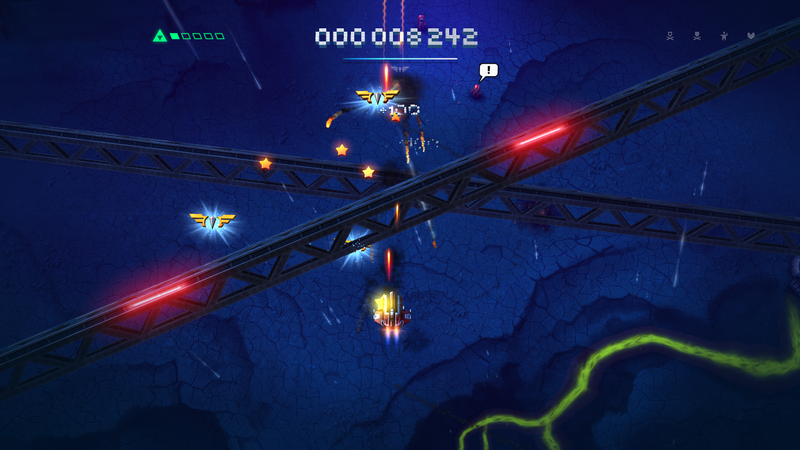 This ain’t one of those tiny PSN downloads that you end up playing for an evening or two before you want to delete it, Sky Force Reloaded is so addictive that you will end up playing this instead of just about everything else for some time to come for sure. 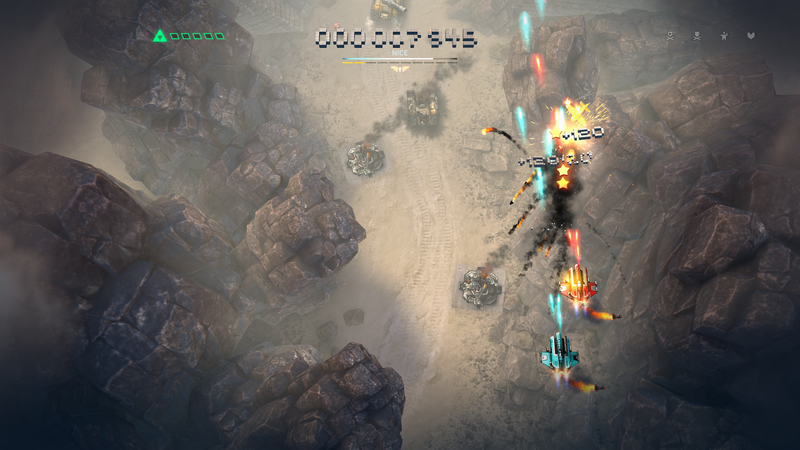 This is for the shoot em up fan out there, if you will buy one game this year then THIS IS IT!, yes it’s even better than Anniversary which is something that i thought would have been impossible a year ago. yes its very hard haha, i could join you in playshare but its still banned in Germany or? Whaaaat? Or do you mean insane? What are those two extra lvls? Tony Aksnes you braggart!! ? Yup i am trying to get all cards, missing 7 now i think. Roar Tjørhom haha, naw? ? I am waaay behind you guys..???? Of course my dear playfriend! ??????? Aaaargh, you broke my script ? What the… I totally agree! What is wrong with me??? The game is even dirt cheap and gives you tons of addictive game play, I also like that we can compare the scores on each level. There are so many good things in the game and i probably missed a few in the article… i wrote this article a few days ago and updated it a bit now right before i published it as i keep discovering new stuff all the time. REALLY looking forward to seeing everything in the whole game! 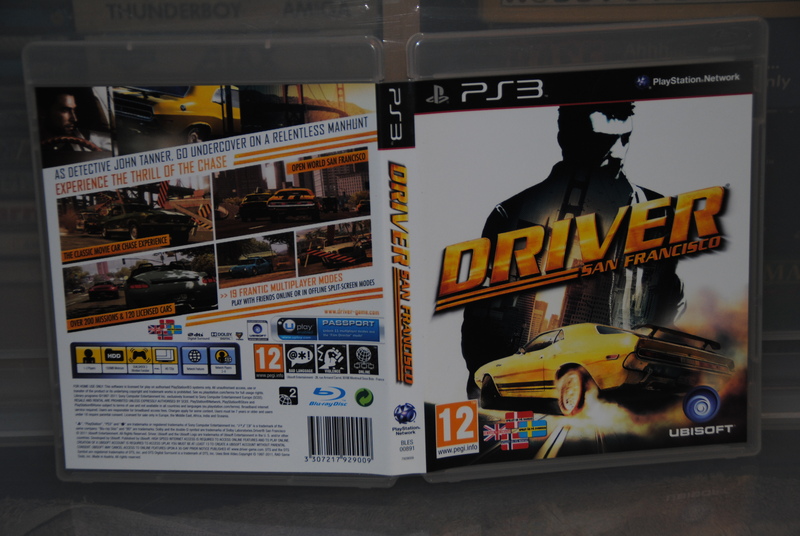 NO TIME TO WRITE, GOING TO PS STORE RIGHT NOW! well, as i have told you before… we can always try PLAYSHARE… two players is always better than one.